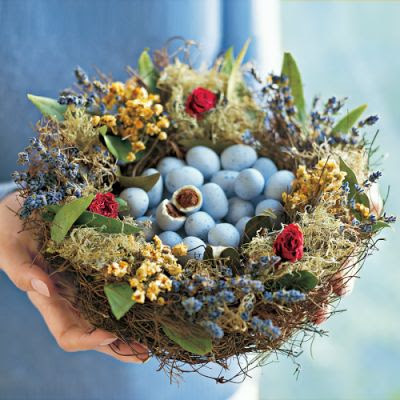 The second the Williams-Sonoma web site popped up on my computer I was in love with this Bird’s Nest filled with truffle-filled eggs. 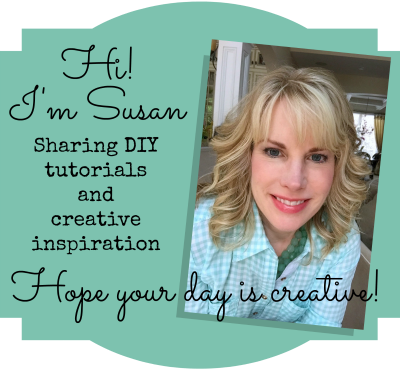 Pretty for Spring and Easter! 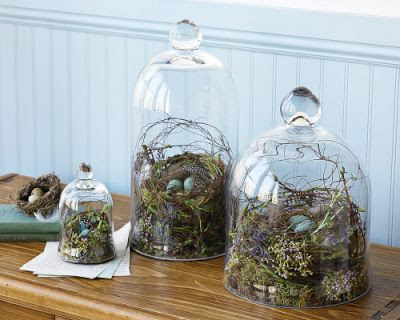 And then I found these Springtime Nest Bell Jars also at Williams-Sonoma. What a great decorating accent as we go into Spring. 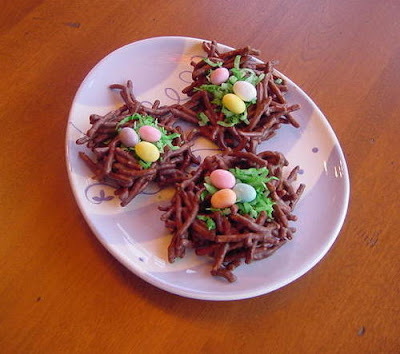 This would also be easy to create for the Easter Dinner Table. A trip to the craft store and you could do this yourself. 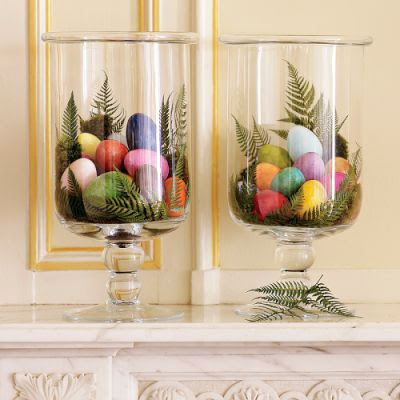 I like how these Italian Alabaster Eggs are arranged very simply in large hurricanes with live ferns that you can get from the yard. 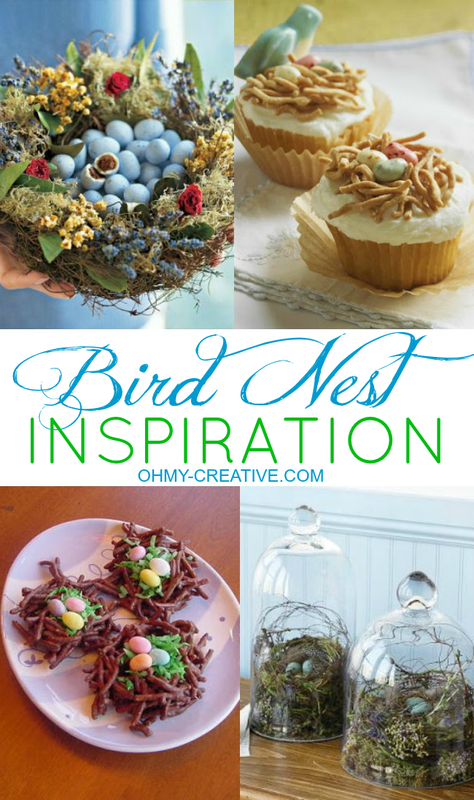 Get the recipe for these Bird’s Nest Treats here. 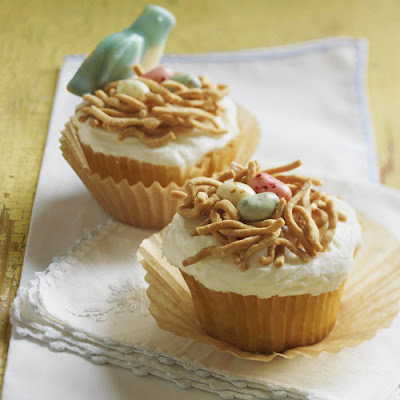 I found these adorable cupcakes at Country Home. 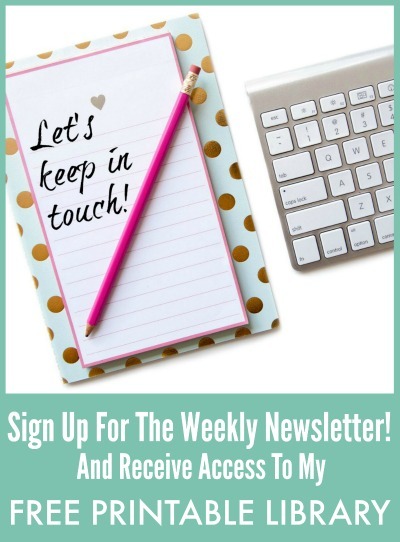 Get the recipe and instructions here.